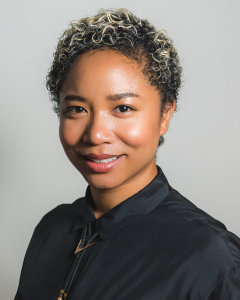 In honor of Women’s History Month, DAWN had a Q&A with Aerica Shimizu Banks, inclusion innovator and women’s entrepreneurship advocate. We talk about how she help founded the DC women’s entrepreneurship initiative BEACON, how we can better support women overall, her role as an investor, and her upcoming TEDx talk. DAWN: You were named Forbes 30 Under 30 in social entrepreneurship in 2018 for co-founding BEACON, the women founders initiative in Washington, DC, while working as a patent policy analyst at Google. This Google-funded organization is working to transform DC into a model city for an inclusive ecosystem that supports women entrepreneurs, especially women of color. What motivated you to start BEACON, and how did you get Google on board? AERICA: We witness everyday the inequality and disparity across gender and race at the workplace and in society. Gender equality and diversity at the workplace, across industries, is very important to me and I try to champion equity wherever I go. This is especially a problem in the tech and entrepreneurial spaces where women, especially black women, are not hired, compensated, or supported on par to men, despite outpacing men in educational attainment, small business incorporation, and innovation. BEACON became the vehicle to honor and support women entrepreneurs through access to resources, a focus on representation, and mentorship. Google’s support for BEACON started with a heartfelt, candid conversation with my director at the time about race and inequality in the wake of the extrajudicial killings of Alton Sterling and Philando Castile and ended with projects grounded in data and a commitment to development and community. My team recognized that every field needs to come to a reckoning with injustice. As a patent analyst working on a legal team, that meant shining a spotlight on the inequalities within the world of innovation, and their far-reaching impacts: how the majority of patent holders are white men, how the fastest growing group of innovators is women of color, how women of color will face disparate challenges as innovators due to bias and a lack of resources. Sponsoring BEACON was an opportunity to address the intersection of these issues in a community-informed way. This month is a chance for us to take inspiration from women leaders of the past and today to pave the way for the next generation. We must also look at how we give this month significance, and how we can go beyond observing one month, but rather using it as a catalyst for action. We give it meaning through the discussions we have and the actions we take. We can recognize the many contexts in which women live and work around the world. Crucially, we must ask ourselves why there exists a need for a day (International Women’s Day) to recognize 51 percent of the world’s population. How can we create a world where a day recognizing over half the world’s population seems absurd? How can we advance human rights justice and empower women and girls everywhere? The fight to create Women’s History Month started as a radical movement to recognize the rights of women. If we want to make this month significant, we must be cognizant of context. It’s beyond the wage gap. It is about the structures of oppression that created and reinforce the wage gap, perpetuates and dismisses violence against women, and enable and internalize misogyny. It is about intersectionality, and how discrimination and disadvantages are compounded by the identities we occupy, especially race, class, sexual orientation, religion, and ability. How can we better support women? And why is it important to particularly support women of color? The wage gap between men and women is an understated problem. It is widely understood that white and Asian women earn 80 cents to every man’s dollar. Now, take away 21% of that if you’re a black woman and 32% if you’re Latina. Women of color need to be paid equal to their male counterparts. But they need more than just financial support. We need to take small, conscious steps in our daily lives to support women. Buy from women-owned businesses, support women’s organizations and hire women entrepreneurs whenever you can and don’t ask for discounts – pay us what we’re worth! You are also an investor. How did you get into this and what is your advice to someone who wants to be an investor? I am so inspired by the amazing businesses women are creating all over the world, and especially in my home of Washington, DC. The city does an amazing job of drawing from the rich history of its black community, and with hundreds of female-led initiatives starting here every year, I believe that 2019 is the year for women of color entrepreneurs in DC. I’ve had the opportunity to learn from incredible women founders and experts across the country and built strong relationships with them. I’ve also worked very closely with women founders at various stages of their business. That familiarity helped me transition into investing. I am also an advisor to 1863 Ventures, which accelerates New Majority entrepreneurs from high potential to high growth; Black Girl Ventures, which creates access to capital for Black and Brown women founders, and PICNOI, which is a coop of stock image photography of people of color. My advice would be to save your money and make sure your primary needs are covered first before venturing into investing. Then, I’d say get educated and get proximate – learn and engage with the businesses that seem interesting to you; seek advice from those in finance, investment, and entrepreneurship; and do your due diligence. An investment doesn’t have to be large. Start small by investing in your local community. Buy from women-owned businesses, join a board or volunteer with an organization, and get to know the entrepreneurial ecosystem of your community. 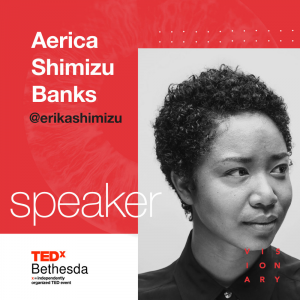 We are excited to join you at your upcoming TEDx Talk on April 27 in Bethesda, Maryland! Are there any themes that you can preview? My TEDx talk will be about emotional vulnerability as a catalyst for visionary leadership. Throughout my career, I’ve been told to separate emotions from how I work. But as I’ve progressed, I’ve learned that my emotions are my strength. I will also talk about breaking down the gendered assumptions of what makes a leader, and how men and women have been expected to lead. What’s the secret to your success? And how do you balance it all? I am driven by the support I get from the strong and successful women around me. While I feel inspired by all the incredible work that women, especially women of color, are doing everywhere, I also remind myself that women are facing discrimination and sexism everyday. Our goal to make DC a model city for women entrepreneurs is an aspirational one, but I tell myself that we are stronger only when we are collaborating and supporting each other. I’m still figuring out how to balance it all, but I make sure to take some time for myself. The amount of work that still needs to be done to achieve true equity is overwhelming, but I believe, achievable.